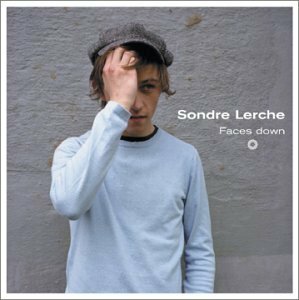 Emily’s teacher Jeff recommended Sondra Lerche last fall to The Gotham Gal so she went on Amazon and got his 2002 disc titled Faces Down. His music sounds to me like the Kinks meets Belle and Sebastian. And that’s a pretty good combo. If you like either of them or Kings of Convenience, you should get this album. According the to rave reviews on Amazon, his 2004 disc titled Two Way Monologue is even better. It’s in my shopping basket at Amazon already.